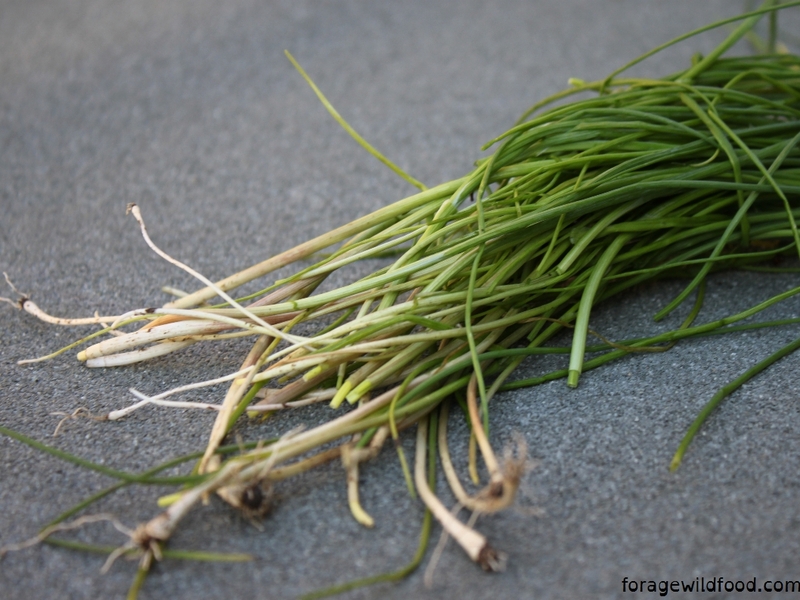 Crow garlic has been out for most of the winter and it is easier to spot this time as it is not camouflaged amongst the grasses. 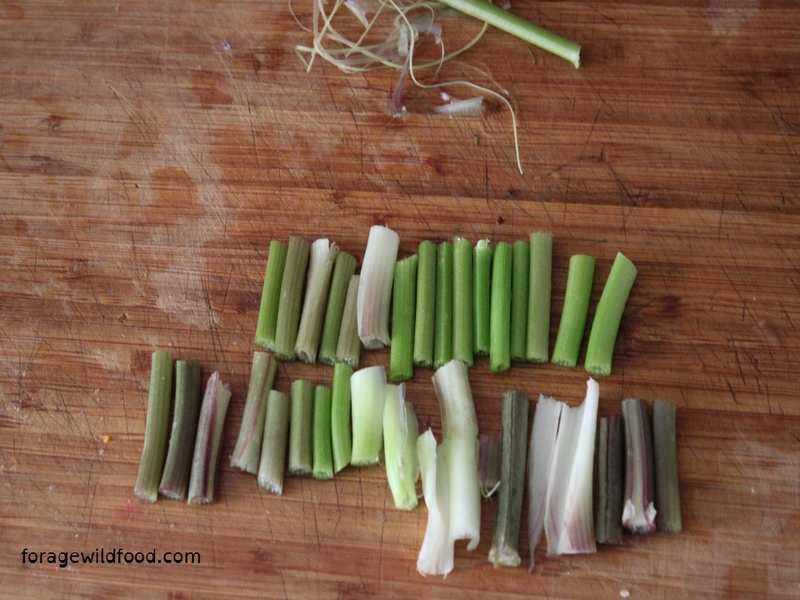 It has hollow cylindrical leaves, looks like chives and it’s bulbs are similar to spring onions. When I worked supplying restaurants with foraged goods I used to pick these two plants regularly around Whitstable, Kent. They brought back fond memories of the coast, making me want to eat them with seafood. 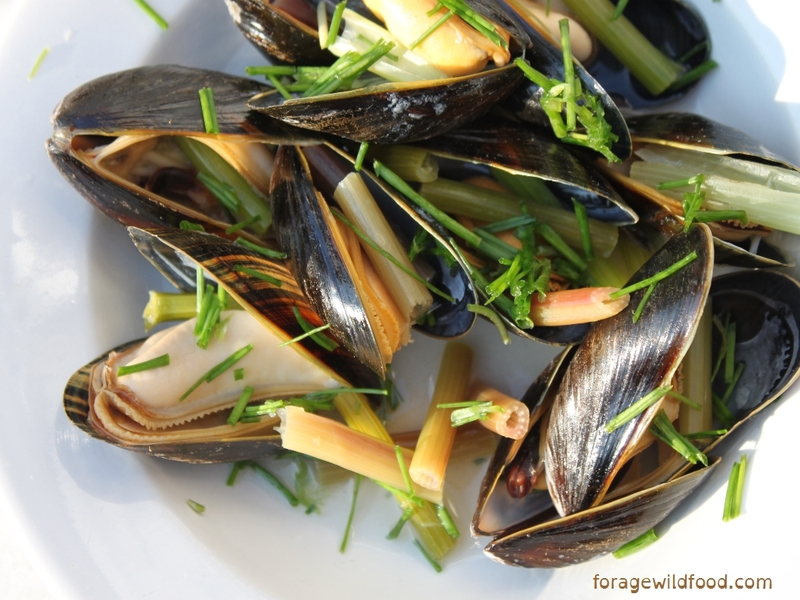 Having recently read an article about the difficulties of determining which fish species are sustainable to buy I decided to try some mussels as they seemed to be the best bet for sustainability. Also, they are relatively easy to forage if you know how to do so safely. I bought half a kilo from the helpful Hand Picked Shellfish stall at Queen’s Park farmers market. Not being that experienced with cooking molluscs I decided to try the classic white wine sauce, adding alexanders stems at the beginning and roughly chopped crow garlic at the end. The alexanders stems are best when they are young, they may need peeling when older as they can be a bit stringy. That looks delicious! I love mussels and it’s hard to find any in landlocked Berlin, other than the tasteless ones shipped frozen from New Zealand. I read about Alexanders in the nove “The Shipping News” and wondered about them. I guess we probably don’t have them either, but wild garlic aplenty. Wow, very inspirational. It’s so satisfying finding your own food around London.